The Old Barn is situated near Bewdley in Worcestershire. The cottage sleeps three people and has one double bedroom, a bathroom, a fitted kitchenwith dining area and a sitting room with sofa bed and coal effect electric fire. Outside, the cottage benefits from off road parking for two cars and a rear lawned garden with furniture and BBQ. 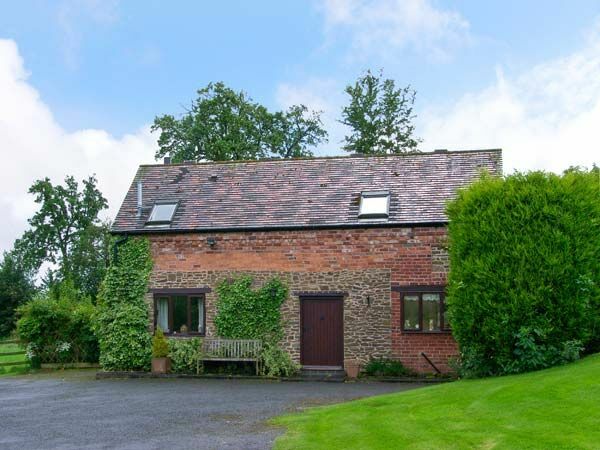 With forest and country walks available from the property, The Old Barn is an ideal holiday location for a couple looking for a romantic break. Amenities: Oil central heating with electric fire in sitting room. Electric oven and hob, microwave, fridge, freezer, washing machine, dishwasher, TV with FreeSat, DVD, WiFi. Fuel and power inc. in rent. Bed linen and towels inc. in rent. Stairgate. Off road parking for 2 cars. Bike storage. Enclosed private rear garden with patio, small lawn, furniture and BBQ. Sorry, no pets and no smoking. Shop 2 miles, pub 1 mile, golf course 0.5 miles. Note: Max two people. Town: The market town of Bewdley sits on the banks of the River Severn, and is close to the medieval Wyre Forest, with its many walks and cycle trails. Bewdley offers much to delight visitors, with a good choice of pubs, cafes and restaurants along the riverside, many tiny shops, antique and craft galleries, and all surrounded by beautiful countryside with gentle rolling hills, steep wooded valleys and meandering rivers offering many opportunities to discover a rich diversity of wildlife. The area has some of the best attractions in the country, with the Severn Valley Steam Railway, West Midlands Safari Park, numerous National Trust properties and many colourful events throughout the year, including riverside festivals and regattas, open air concerts and family activities. Oil central heating with electric fire in sitting room. Electric oven and hob, microwave, fridge, freezer, washing machine, dishwasher, TV with FreeSat, DVD, WiFi. Fuel and power inc. in rent. Bed linen and towels inc. in rent. Stairgate. Off road parking for 2 cars. Bike storage. Enclosed private rear garden with patio, small lawn, furniture and BBQ. Sorry, no pets and no smoking. Shop 2 miles, pub 1 mile, golf course 0.5 miles. Note: Max two people.